Written by: admin on April 23, 2014. Many tourists visit Sub-Saharan Africa to see the natural beauty of the elephants, lions, giraffes, and zebras. These acclaimed animals are often juxtaposed to the pristine natural wildlife and landscape. As majestic as these animals and natural environments are, human – wildlife conflict is a serious threat in the Lower Zambezi National Park, Zambia. Conservation Lower Zambezi, a Zambian non-profit, non-governmental organization, aims to conserve and sustain the local wildlife and natural resources of the Lower Zambezi for the present and future generations to come. The organization also looks to mitigate human-wildlife conflict by offering help to local communities to protect their livelihoods through a number of measures. Poaching, the illegal hunting and killing of wild animals, has become a serious issue not only in Zambia, but also throughout Sub Saharan Africa. Due to a number of factors including the global ivory trade, demand for bushmeat and everyday hardships in the area such as lack of access to education and income opportunities, some of the population in the Lower Zambezi resort to making a livelihood from illegal use of the natural resources of the area. 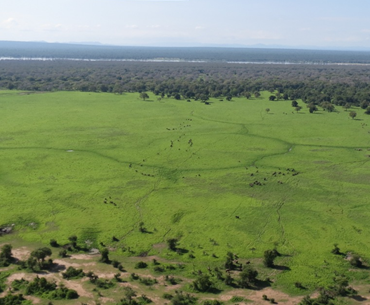 Wild animals also live side –by – side with communities in the Game Management Areas (GMAs) adjacent to the National Park, and local subsistence farmers face the threat of crop raids by elephants, hippos and baboons. The organization looks to mitigate human-wildlife conflict by offering help to local communities to protect their livelihoods through a number of measures, including chilli fences, elephant proof granary stores and Village Scout patrols in the community to help protect fields. Conservation Lower Zambezi was founded in 1994 in response to the local community’s outrage when two local women were killed by an elephant in the bordering community of the Game Management Area. Due to this, local tourism operators and local officials met to discuss how to support the local community while encouraging conservation and sustainability of animals and natural resources. CLZ, thus, was formed with three missions. CLZ focuses on wildlife protection by assisting the Zambia Wildlife Authority anti-poaching patrol. CLZ’s second mission aims to support environmental education through providing outreach to local schools and scheduling visits to the CLZ environmental education centre. Lastly, CLZ supports the local community through development projects, especially aimed at relieving human wildlife conflict. The efforts of Conservation Lower Zambezi have not gone unnoticed. Throughout the past several years, they have made significant contributions to conserving and sustaining the local wildlife and natural resources of Lower Zambezi. Last year saw the lowest elephant poaching figures on record and the highest number of anti-poaching patrols carried out in the park. Additionally, the solid partnership between CLZ and the Zambian Wildlife Authority looks to support 188 wildlife protection patrol teams per year. Furthermore, many children have been inspired by the Environmental Education Programme, and now acknowledge the importance of protecting the wildlife and natural resources. However, the work of Conservation Lower Zambezi is not all that easy. Ellie Harvie, General Manager at CLZ, notes that the greatest challenge is ensuring that the wildlife of the Lower Zambezi is valued by the communities who live here, and not just tourists. Although it is definitely not an easy task to accomplish, CLZ is certainly making strong strides to ensure that human wildlife conflict is minimal. By doing so, Conservation Lower Zambezi is bringing prosperity and hope to both the natural wildlife and the local communities for many generations to come. For more information, you may visit: http://www.conservationlowerzambezi.org. Photo provided by Conservation Lower Zambezi.